Anti-Vaccination Movement Going to the Dogs? The anti-vaccination movement—of which there are many proponents in human medicine—seems now to be expanding to some pet owners. The growing anti-vaccination movement in human medicine is apparently amplifying to veterinary medicine—most recently in parts of New York. The reason: the belief that vaccines can potentially cause more harm than good in dogs and cats. Brennan McKenzie, MA, VMD, a practitioner at Adobe Animal hospital in Los Altos, California and past-president of the Evidence-Based Veterinary Medicine Association, said he has seen an increase in the number of pet owners who don’t want to have their dogs vaccinated for conditions such as distemper and parvovirus. He notes, however, that there is no real way to track the number of pet owners refusing vaccination because, with the exception of rabies, there is no real oversight in this area. Chris Brockett, DVM, owner of Saratoga Veterinary Hospital in Wilton, New York and president of the New York State Veterinary Medical Society, says he, too, sees pet owners declining vaccines more frequently. When it comes to illnesses such as canine distemper, not vaccinating might pose a risk, he says. “The fewer animals that are getting the vaccine, the greater the likelihood that you’re going to have a firestorm if something that is that highly communicable comes along,” Dr. Brockett said. “Previously, I had one young dog form an aggressive type of brain cancer shortly after [receiving] vaccinations.” Murray said, “That cancer was probably encouraged by a weakened immune system caused by over-vaccination.” Murray said she remains a strong advocate for vaccination of puppies and young dogs, but not for all adult dogs. She also stressed the importance and value of titer testing in dogs, which can be used as an alternative to booster vaccinations. 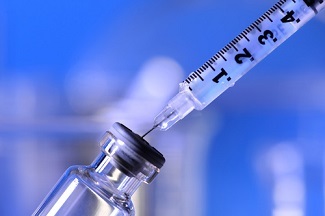 The American Animal Hospital Association vaccine guidelines note that titer testing is an appropriate way to determine whether previously administered vaccines in dogs are still providing immunity to parvovirus, distemper, and adenovirus. Titer tests can enable veterinarians to devise customized vaccine protocols for individual pets. Pets are still potentially more susceptible than humans to vaccine-preventable illnesses, largely due to how pets acquire these illnesses. Pets are outside for longer periods of time, which means they could be exposed to things humans usually aren’t and eat things that humans usually wouldn’t.